Why does it seem like kitchen organization is the bane of everyone’s existence? Including myself! Sometimes in life, it’s the simple things that work the best. 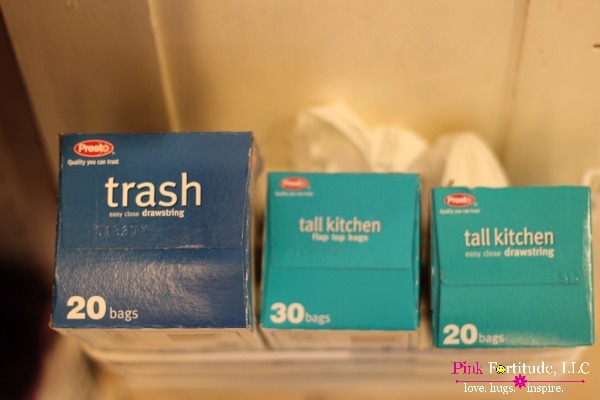 Here are three secrets to kitchen organization that are right under your nose – and you will never believe where the inspiration from #2 came from! We have an eight-inch awkward space between the end of the island and the end of the floor, where the kitchen transitions to the keeping room. There were not a lot of options. Oh… and please ignore the condition of the floor. All of these pictures were taken before our floor renovation. 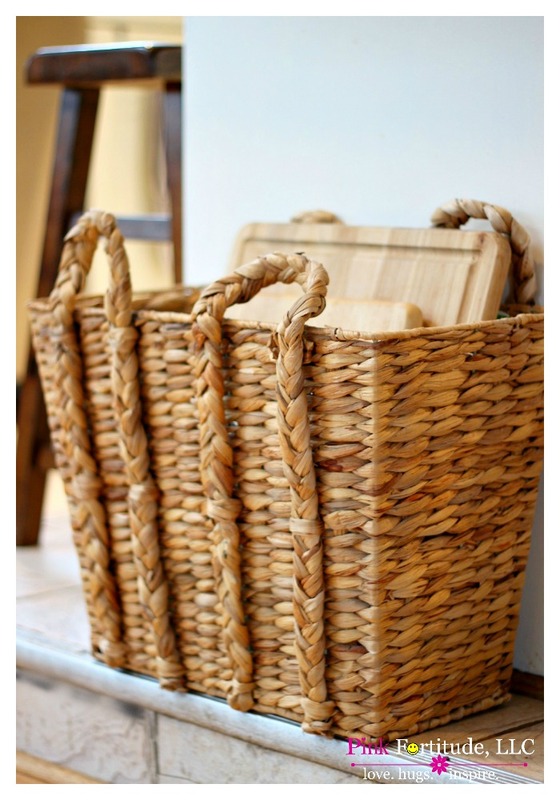 There aren’t a lot of options for this space, but a tall vertical basket is perfect to hold all of my cutting boards. I have two wooden boards, a small quick use board, and color-coded boards for meats and vegetables. It’s within easy reach from my preparation triangle, and it is a great space to hold items which are generally difficult to organize. My eighth grade English teacher is friends with me on Facebook. She would be so proud that prepositions are the muse for this organization tip. Go over, under, through, and inside. No matter how small your space it, look at it in a different angle and see what you can do. 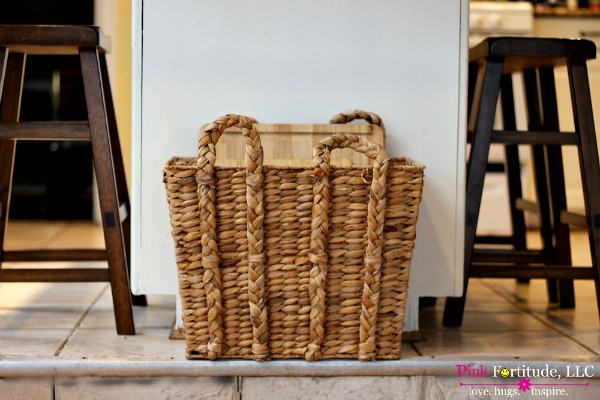 I added a small metal basket with brackets to hold our three trash bag boxes – big trash, kitchen trash, and recycling. It’s on the door below the kitchen sink. Easy to reach and in the perfect spot for use. 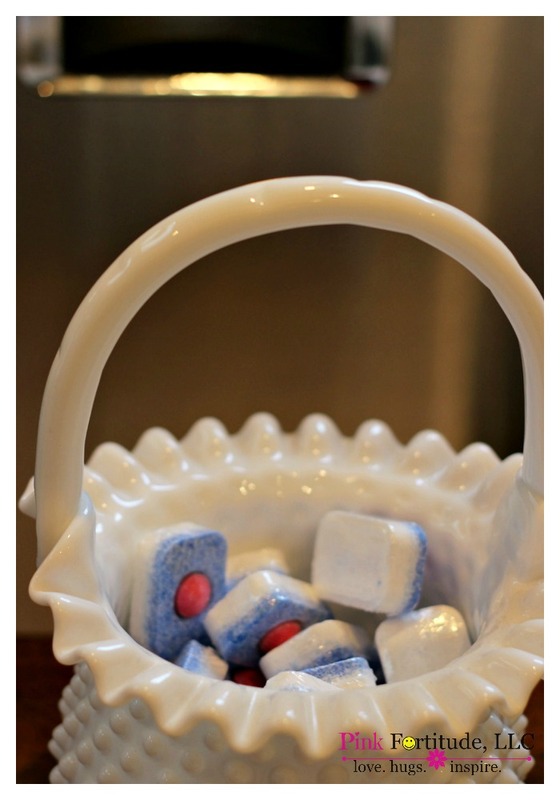 I recently transitioned to all-natural dishwashing pods, and I use this vintage milk glass basket to hold the pods. I keep it under the sink, which is right beside the dishwasher. It’s pretty enough to keep out on the counter, but I try and keep the countertops as clutter free as possible. We have one cabinet space for our everyday dishes, but this space for the melamine dishes was wasted until I added a basket that hung from the top shelf. 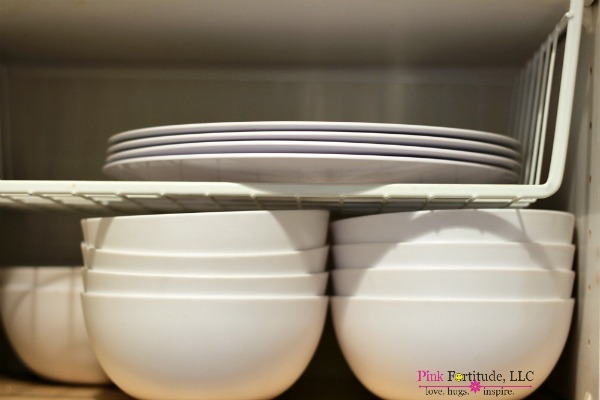 Now, the bowls are stacked on the bottom, and the plates are within easy reach right above them. What about you? 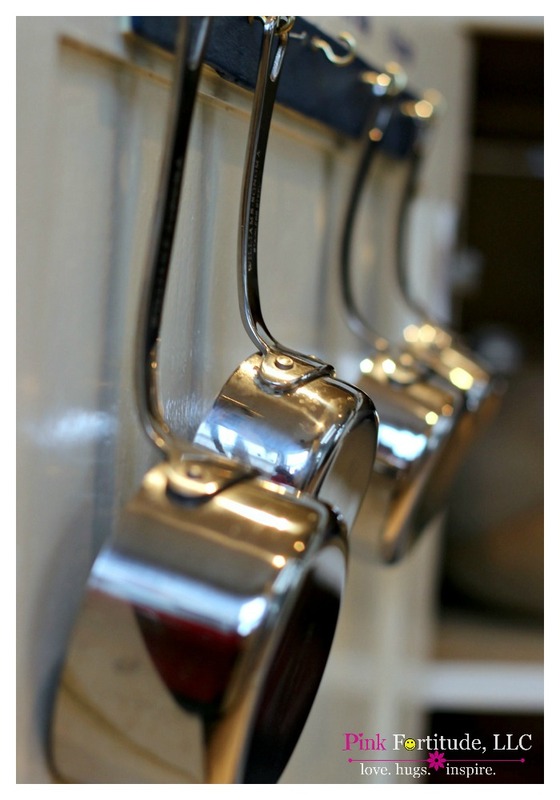 How are you inspired to organize your kitchen? Love, hugs, and easily organized. I really should get me one of those shelf hanging baskets. Thanks for the reminder. Love these ideas, Holly (you knew I would 🙂 ) I’m in awe that you found the perfect basket for that awkward ledge. Not only is it perfectly functional for you but it’s so pretty, too. Make your teacher proud Holly!! I love those little things that grab onto a shelf and provide extra storage! All great ideas! Some great ideas here!! Having a cooking blog I need all the organizing I can get! 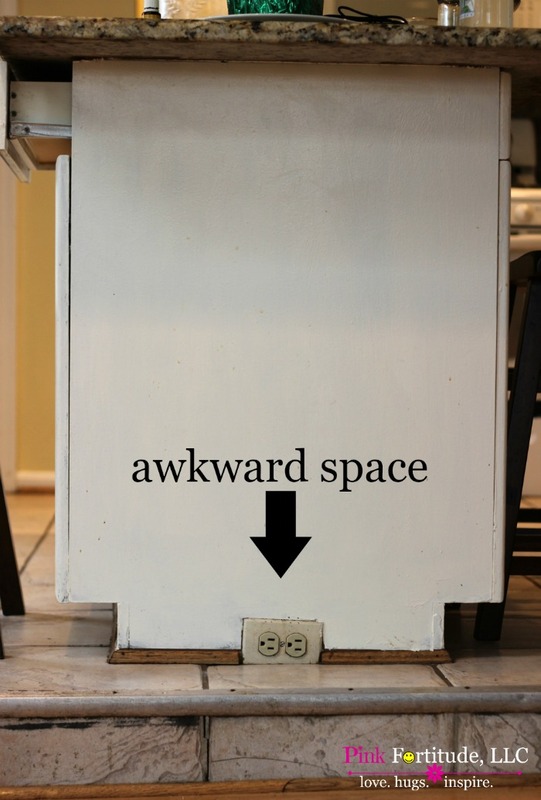 Love your idea to use weird spaces to your advantage! 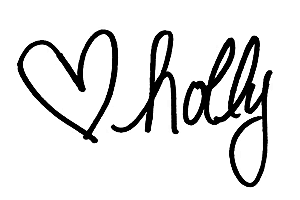 Thanks for linking up with Merry Monday this week! I like what you have here, I know for me I have a super small kitchen to work with so every inch is very precious to me. Great ideas! I’m going to go through my kitchen today with prepositions on my mind!